FORECON’s forestry management is a complete package of professional services geared toward helping landowners realize their resource’s potential. Forest management begins on the ground at the tree level. Trees can tell you a lot about a forest’s health. Collecting tree inventory data is central to developing woodland management prescriptions. Tree inventory data represents the biodiversity, density, age and quality of the trees in a forest. This tree data is analyzed to develop a forest management plan specifically detailing the prescriptions and activities needed to meet the forest management objectives and the goals of the landowner. 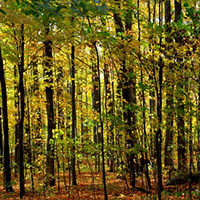 This planning phase can be as simple as preparing a brief forest management prescription for one tract, or as complex as developing annual allowable harvests, operating budgets projecting both income and expense, management policies, or even consulting on investment strategies for multiple tracts across larger ownerships. What is FORECON Forest Management? FORECON’s forestry management is complete package of professional services geared toward helping the landowners realize their resources potential.